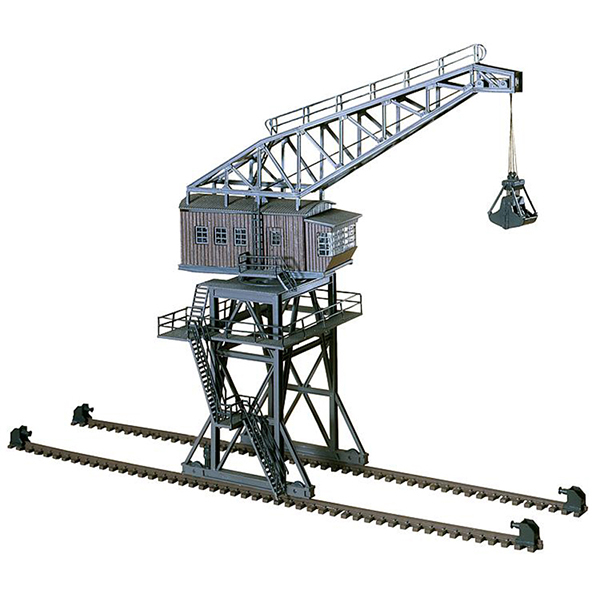 The large gantry crane fits in all areas in which cranes are used: ports, industry, railways etc. 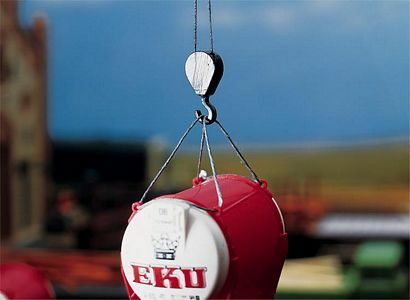 The crane can be equipped with a load hook, spade lug or logging tongs. With the FALLER motor 180629 (not included) the driver’s cabin can be turned 360° with the arm. Clearance under the gantry: 74 mm. The crane can be manually moved on the 340 mm long track dummy. 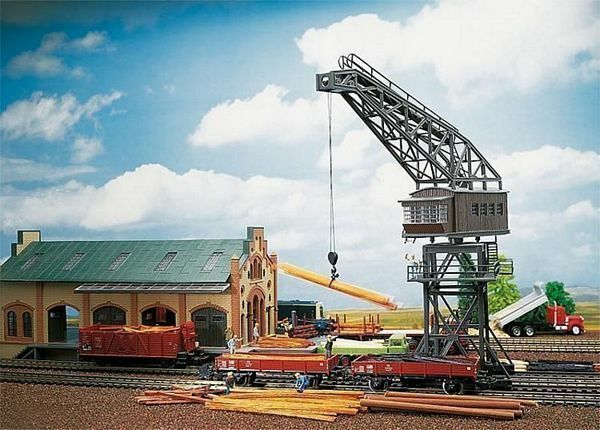 The crane is identical to the crane in coaling station kit 120148. This building kit contains: 113 single parts in 3 colours, window parts and 1 construction instruction.